This is an introductory article where we will be briefing you about how you can study from creactive-ed.com and how you can get most out of it. We will be explaining to you all the details will be required to register with the website. We will also briefly discuss the features which are going to be an extra added advantage to your career. creactive-ed.com is an e-learning platform, students from all the background, who has a passion for automotive designing are welcomed. We provide various online courses for a student in an automotive designing discipline to develop their skill sets and mindsets to become an automotive designer. We also provide online training to the student for their entrance exam to get into designing schools for bachelors and masters. 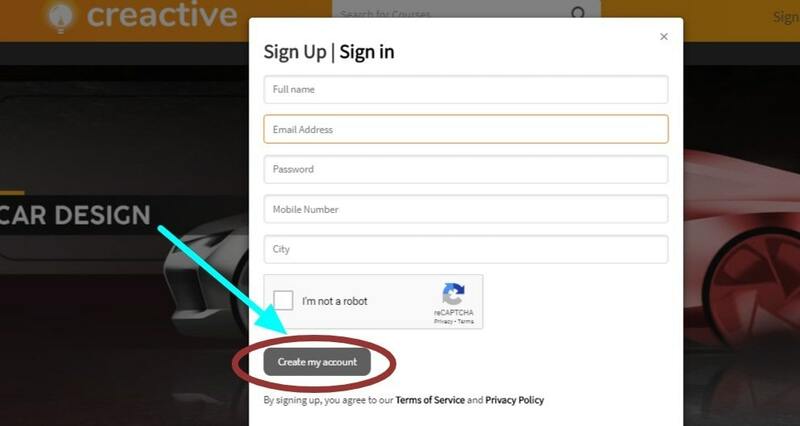 After finishing the procedure, you complete your registration with creactive-ed.com and our counselor will connect you on your registration within 3 working days. 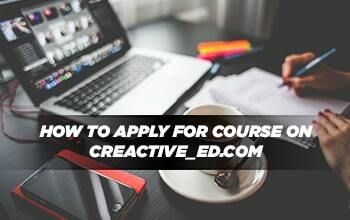 After completion of registration, you are given with access to all courses available on creative-ed.com. You can see all the courses listing inside, on the home page. As you scroll down you can see the short videos where you can understand the process of teaching and course details in a very short time. Followed by the chart to understand the development of skill sets and mindset, how the learning stages are organized and how it will take you the top in an organized way. And it will also help you understand the building of your knowledge that we carry in our courses, below that workflow chart to understand learning stages. Scroll down to see the testimonials section where you can see the student’s feedback. At the bottom of the home page you see the all the details like, follow us, newsletter, information, good to read, for additional enquiry you can get in touch with our team from the phone number as mentioned in the information section and you can follow us on Facebook, Insta, Youtube, twitter, etc. Creactive-ed.com wishes you brighter career. Have any questions? Let’s discuss in comments section.